Cryptocurrencies are on the lips of every single financial enthusiast in the world. Whether it be a mockery of the asset or praise, most industry participants know what cryptocurrency is. However, the knowledge is extremely limited to just understanding what cryptocurrency is and not its legality and general presence in the world. Here on Forexnewsnow, we’ve noticed that many market participants don’t really see the scale of cryptocurrencies at the moment. 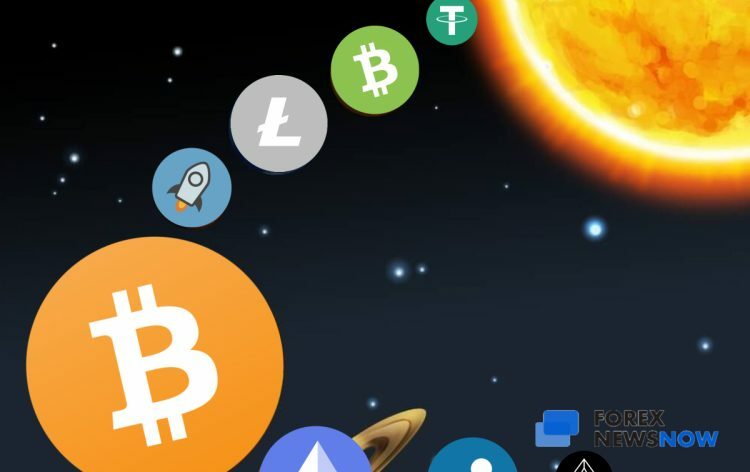 There is nothing to blame however, the limited information available online can indeed lead people into believing that cryptocurrencies are nothing but lifeless hype and a small presence in the world. In order to display the effect and popularity of cryptocurrencies as a whole, Forexnewsnow has conducted thorough research to show its readers a global map containing various information about the cryosphere. On our infographics, you’ll be able to see the attitudes of various countries towards cryptocurrencies (Regulations, Grey Areas and banks). The freedom of trading cryptocurrencies around the world (taxes and derivatives). The density of crypto technology, such as Cryptocurrency ATMs as well as Crypto exchanges in various countries. Last but not least, you will also be able to see, where most of these cryptos come from, and who you are actually buying them from when making a trade, all of which will be illustrated in our cryptocurrency mining map. As you can see, cryptocurrencies are generally disregarded in the world in terms of legal frameworks. However, this is definitely not a statement about their overall use and relevancy. Most of the cases that we see about Grey Areas in the infographic are in the process of developing legal frameworks for cryptocurrencies in order to incorporate them into their economies. Unfortunately, however, there are quite a lot of countries as well that have banned the assets completely. If we take a closer look, it is apparent that bans usually happen within the middle eastern countries and South-East Asian countries. Middle Eastern countries are not a surprise, given the fact that most financial markets are heavily regulated and accounted for. Having this new asset seemingly appear out of nowhere, countries like Egypt, Iran, Pakistan, Saudi Arabia, and the UAE decided to impose a temporary ban, before they figure out how to deal with them. Overall, however, most countries seem to ignore cryptos and let them operate without too much hassle. Despite the fact that the majority of the world seems to disregard cryptocurrencies as real money, they are more than eager to impose taxes on capital gains through them. You may be surprised to find out that not too many countries are lenient on taxing cryptocurrencies. Sure there are some who classify cryptos as assets and then promptly impose normal profit taxes on them, but in most cases, taxes are ignored. Currently, taxes are more prevalent in the European and American regions, while Asia and Eastern Europe are a bit lighter in that department. The taxes are usually low, around 15-20% of capital gains, but there are extreme cases like Turkey, which may impose taxes as high as 45%. We also need to tackle the number of cryptocurrency exchanges available in the world at the moment. According to our research, most of the cryptocurrency exchange companies are concentrated in 7 locations. Those are the UK, Singapore, Hong Kong, China, Japan, USA, and South Korea. Unfortunately, the research of the companies is not complete. As there are numerous smaller ones operating at the moment that do not disclose their locations. The overall number of companies can easily be nearly 500, but around 100 of them are trustworthy enough to mention. Almost every cryptocurrency needs to be mined. Unfortunately, however, the largest ones are currently impossible to undertake on your own Personal Computer. Therefore commercial mining companies were created, which invested millions of dollars into hardware, real estate, and electricity bills, to accumulate cryptocurrencies and then distribute them among cryptocurrency exchanges and investors. There are not too many countries that specialize in cryptocurrency mining, but rough estimates as to how much power each country generates can be seen on our map. What also needs to be considered is that this map does not show the general interest in cryptocurrencies from various countries. What it does is showcase the prices and accessibility to hardware to dedicate resources into growing the enterprise. Cryptocurrency ATMs are just like your every-day ATMs. Most people are able to liquidate their cryptocurrencies through them and turn them into fiat currencies. They are usually found near large shopping malls and airports, but a general location has not been confirmed. Usually, the number of cryptocurrency ATMs depends on the population size of a specific country. So, when looking at our map it is easy to see countries like the USA, Canada, and the UK have more ATMs compared to smaller countries. Generally, viewing the number of times people search specific keywords in a country, can be a good indicator of how important or how popular that specific product or service is. Unfortunately, however, there are different search engines popular in different countries, therefore a comprehensive analysis cannot be made. The only thing that can be done is to show rough estimates based on various data. For example, we cannot say that Russians don’t search cryptocurrency as often anymore. The reason being is that Russians usually use Yandex instead of Google as their primary search engine. Same goes with China, which uses Baidu instead of Google. But, a compilation of the data can yield some results, shown in the infographic. Currently, according to Google Trends, South Africa, Nigeria and Ghana are the leading countries in terms of interest in cryptocurrency, mainly Bitcoin. This is no surprise as all of these countries have been in headlines for crypto news recently. The results of the data compilation may seem surprising in the beginning, but a quick google search proves them right. As you can see these maps display how relevant and important cryptocurrencies are across the world. However, its popularity is not equally distributed. Some countries are more friendly than others. The numbers shown on the infographic are rough estimates rather than concrete facts. Unfortunately, no matter how much research is done about these matters, the exact numbers cannot be attained. The reasons can be that exchanges don’t have a digital foothold, mining companies remain active for specific individuals or ATMs are not registered online. Forexnewsnow.com is a Financial media outlet that specializes in gathering this type of information, compiling it together, analyzing it and finally delivering it to their readers. Thanks to their years of experience in the financial industry, they have the resources to gather, compile and analyze data about every asset.